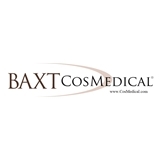 Baxt CosMedical (Paramus) - Book Appointment Online! Providing honest consultations and natural results for over 30 years. Let our family treat your family! Dr. Rebecca Baxt diagnosed my rash when no other doctor could. I saw an Internist and Infectious Disease doctor and both docs diagnosed me incorrectly.